Lightly toast the flaked almonds in a frying pan over a medium heat until they start to turn golden brown. Make 2 normal mugs of hot chocolate using the hot chocolate powder and milk as specified on the hot chocolate instructions. Stir 25ml of almond liqueur into each hot chocolate. 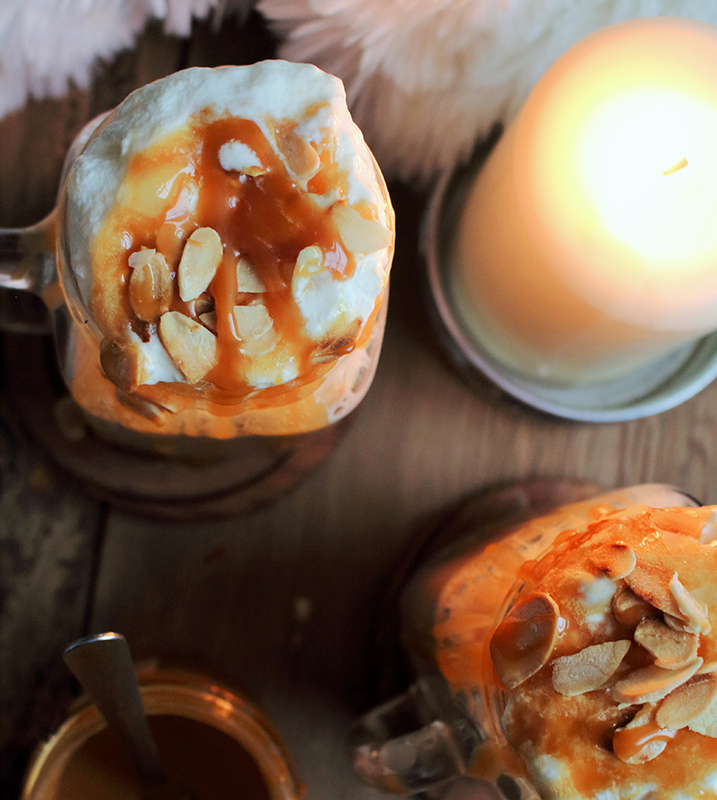 Top each hot chocolate with whipped cream and scatter over some of the flaked almonds. 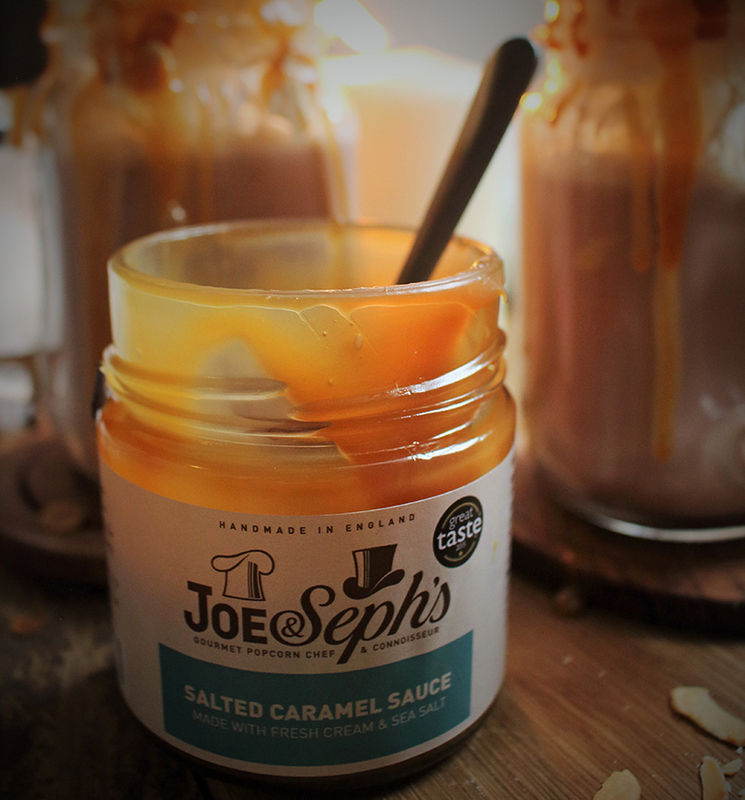 Drizzle over some of our Salted Caramel Sauce and serve immediately.